With thousands of television channels at your fingertips, it’s hard to imagine that there was a time when we had just a handful – and you had to stand up to change them. Unfortunately, along with the ever-increasing options have come ever-increasing prices. Arguably, the only aspect of television not to go up is the quality of the content. Today, it isn’t uncommon for cable or satellite bills to total well over $100 a month, and many of us end up paying for channels we never even tune in to. Rising prices have led many to abandon traditional plans for alternative sources of entertainment. With the advent of the Internet and recent strides in increased download speeds, it’s now entirely possible to watch shows produced for television via the Internet. The major networks, including NBC, CBS, and ABC, all offer television shows in an online format with limited commercial interruptions. Hulu has a vast library of television shows and movies, including popular current favorites such as “The Daily Show,” “Community,” and “Supernatural.” Most shows are free to watch, although if you want to stream Hulu to devices that bring content to your TV instead of your computer, you’re going to need to subscribe to Hulu Plus which gives you access to premium content at only $7.99 per month – significantly less than even basic cable. Amazon.com offers streaming service under its Amazon Instant Video banner. Amazon Prime members get access to a vast library of more than 20,000 television shows and 5,000 movies as part of their Prime membership – a good deal at $99 per year since Prime also includes free two-day shipping for items purchased on Amazon, as well as perks for Kindle owners. Amazon Instant Video content includes entire series such as “The West Wing,” “Arrested Development,” and the first two seasons of Masterpiece Classic’s “Downton Abbey.” It is also possible to buy single episodes of additional television shows and movies not available for free with Prime (or if you aren’t a Prime member). If you do pay for content, you may receive a discounted price when you buy an entire season of a TV series. Long the gold standard in streaming media, Netflix has a vast content library of movies and television shows including domestic and foreign documentaries, hot new releases, classic films, and popular TV series like “Friday Night Lights,” “Law and Order,” “Parenthood,” “Weeds,” “Dexter,” and “Desperate Housewives.” Netflix costs about $8 per month; however, unlike Hulu, it does not offer free content, although you can usually sign up for a free two-week trial before you commit to monthly service. The iTunes library charges for individual episodes of television shows and entire series. Unlike many of the options listed here, there is no monthly fee for using the iTunes library – you pay only for content you consume (although there is a limited amount of free content on offer as well). The selection of TV episodes is very up-to-date and you can generally get a discounted price for buying an entire series at once, just as you can on Amazon Instant Video. Vudu is a subscription-free service that specializes in new-release movies in HD and surround sound. Like iTunes, there is no monthly fee and you pay only for the media you watch. Vudu has deals with many major Hollywood studios and posts content the same day it’s available on DVD, unlike Netflix which posts content 28 days later. Many movies cost $2 for a two-day rental. However, Vudu is generally built for movie watching – TV fans are not going to find their preferred content here. Together or separately, these streaming options provide a huge variety of content and should serve as more than sufficient for all your home entertainment needs. However, before you cut the cord and drop cable, make sure you decide on an easy way to access all this media. Having access to the above content on your computer is certainly convenient, but after a long day at work, most of us probably don’t want to sit at home and watch our laptops all night. 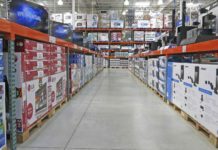 While you could potentially purchase a home theater PC and connect your computer to your television, the thought of devoting several hundred dollars to a dedicated computer used only for watching TV may not make the most financial sense. Also, any of us technology neophytes may not find using a computer to access TV content a very attractive proposition. The Roku is perhaps the most comprehensive streaming device in that it allows access to Hulu Plus, Amazon Instant Video, Rocku, Vudu, and Netflix. Roku also offers approximately 300 additional “channels” as well, including HBOGo. However, there is no easy way to get iTunes content onto your Roku device – although reports suggest it can be done via server configuring if you’re tech savvy. If you simply want a low-cost and easy-to-use device that offers access to a variety of streaming services (and you aren’t tied to the iTunes platform), Roku may be the perfect option for you. The Boxee Box is, hands down, the best option for people who want to do more than just watch the major sources of streaming media highlighted above. If you backup DVDs to your computer, for example, the Boxee Box provides intuitive support for .avi files (as well as for .mp4 files and other video formats). The Boxee Box also gives you access to Netflix content, but not to Amazon or the iTunes store. While you can access Hulu Plus on Boxee Box, there is no official app as of now, so you’re going to have to look at tech workarounds. Bottom line on the Boxee: If you back-up movie files on your computer or download movie files and want to watch them on your TV, Boxee Box is the answer. However, if you simply want basic streaming media, then stick with Roku or Apple TV. Apple TV is the perfect choice for those who are tied in to the Apple platform. Apple TV provides access to Netflix, Hulu Plus, and, of course, iTunes content – leaving out only Amazon Instant (although reports indicate that it’s on the way). One big benefit of Apple TV is that those with iPads, new Apple computers, or later generation iPhones can use a feature called Airplay to send content from their portable devices directly to the TV screen. Because of this feature, it’s possible to watch content from sites like NBC.com, ABC.com and CBS.com that is normally blocked on streaming devices (although certain sites that work on your computer, including those showing video from ESPN.com content, do not work via Airplay). For Apple fans, or for those who want to take advantage of the intuitive Apple platform to stream Netflix and Hulu Plus, Apple TV may be the choice for you. Each of the above options offers a host of different benefits depending on how you choose to consume your media. The Xbox 360 allows you to stream files from your computer using Windows Media Player and it also supports Netflix, HBOGo, Vudu, Hulu Plus, and Xbox video. PlayStation3 (PS3) offers its own access to a video library and also supports Netflix, Amazon Instant Video, Hulu Plus, and Vudu. The Nintendo Wii allows streaming on Netflix, Hulu Plus, Amazon Instant Video, and YouTube. These devices provide similar service and features to Roku and other streaming devices, although the user experience may not be quite as good since they are not explicitly designed for video watching alone. With so many media options available at such reasonable prices, there may not be much reason to continue your cable television subscription. 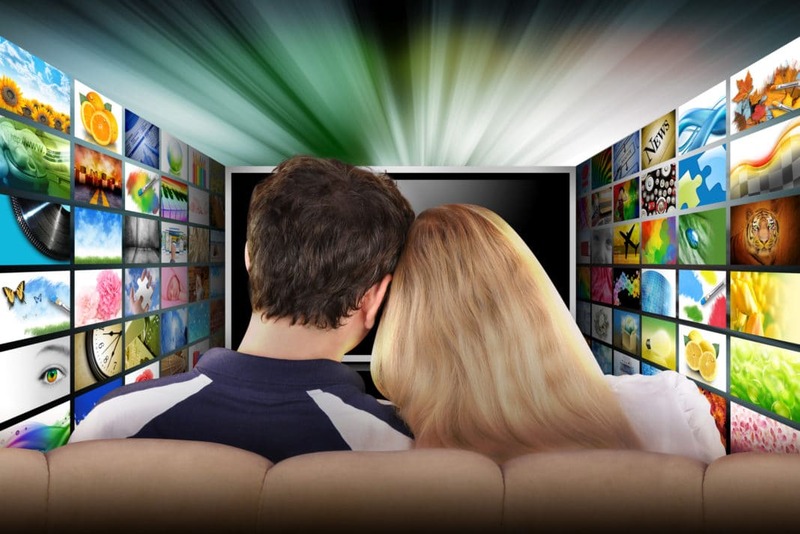 The most difficult challenge to watching your content via streaming service can be trying to find which platform offers specific movies or shows. Check out CanIStream.it, which allows you to search for a film or TV show and tells you where it’s available for streaming. Make the switch to streaming services and devices today and enjoy not only significant savings but more entertainment options than you ever imagined. Have you ditched your cable service? If so, do you miss it at all?